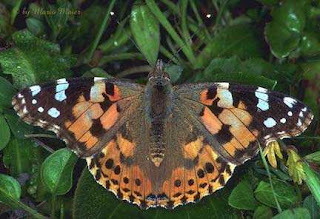 I was driving up the canyon into the Wet Mountain Valley, flinching every time that a Painted Lady butterfly hit the windshield. They are migrating this time of year, headed south, and apparently this summer produced good breeding conditions. "I must have killed millions of them," said the FedEx driver as she passed a package to the café owner in Westcliffe. "We'll call her Butterfly Killer," said the owner facetiously, after the driver went out the door. As usual, we go smashing along through beauty. UPDATE: The migration was large enough to create radar echoes. That's kind of wonderful. Caliber .30, M1903," published in 1939. "Put the sights up to eight hundred, hold a yard left for the wind . . . "
Because of some ongoing research of mine, I perked up a few years ago when gun blogger and writer Tamara Keel, then employed at a gun shop in Knoxville, Tenn., announced that there was an M1903 Springfield, caliber .30-06, in the shop — from an estate, as I recall — at a reasonable price. I contacted her, made payment arrangements, and soon it arrived at a pawn shop in Florence, Colo., for the federal firearms transfer. Unwrapped, I found it slathered in Cosmoline preservative grease, a clue to its story. I looked at the receiver, which proclaimed "US Springfield Armory Model 1903" with serial number 954801. A little web searching revealed that that serial number was assigned in 1918. And someone had used a knife (bayonet?) point or nail to scratch a large "AK" on both sides of the stock." A doughboy of the Great War? Arthur Kennedy? Arnold Karlson? And it had that way-too-complicated pre-World War One rear sight, with (count them) four different sight notches or peep holes, including the "battle sight," which is calibrated to 547 yards, says the later 1939 Field Manual (not 500, not 600). The rear sight itself is calibrated for a maximum distance of 2,500 or 2,700 yards, depending which notch you use. That is sort of like having a car speedometer that is calibrated up to 200 mph. But as I disassembled and cleaned the parts with gasoline (and the stock with ammonia-based oven cleaner), the rifle's origin story took a different turn. I fell down the collectors' rabbit hole. For instance, the straight-wristed stock came before the pistol-grip stock (and the intermediate "scant" stock, which was the straight version re-cut to a semi-pistol grip). Right? Not exactly. 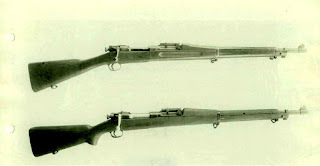 There were seven different models of the straight stock. Collect the whole set. So forget "Arnold Kennedy" of the American Expeditionary Forces of 1918. This rifle was an "arsenal mutt." Maybe "AK" had not needed his rifle anymore. 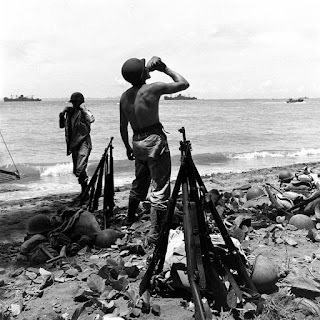 Consider this photo from the Guadacanal campaign of 1942-43. 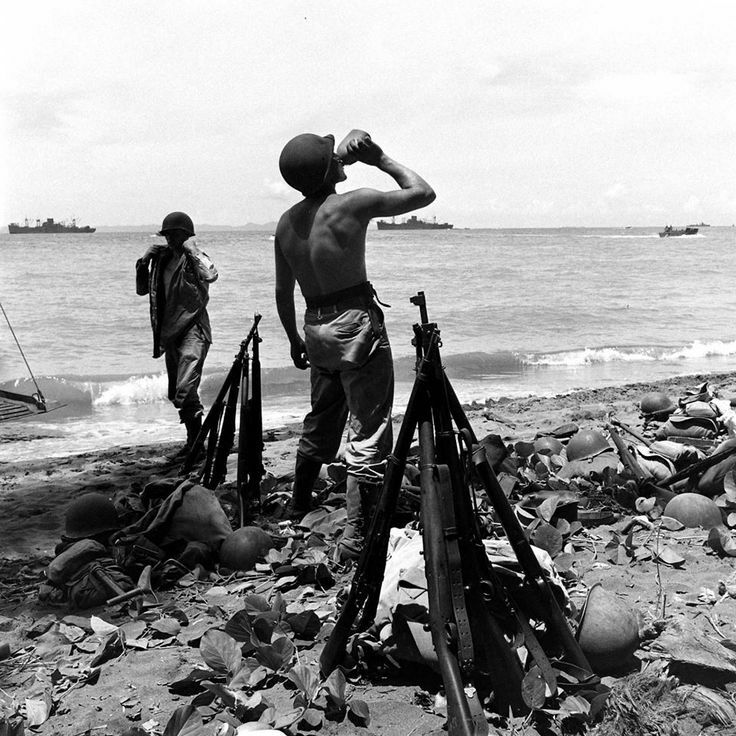 Two Marines, after the shooting has stopped in their sector, have stacked abandoned Springfield rifles on one of the island's beaches amidst other debris of war. 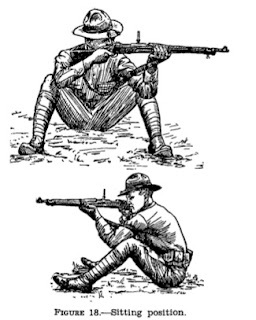 These rifles presumably would have gone somewhere for servicing; then they would have been re-issued or placed in storage. The Springfields were issued throughout WW2 to combat zone troops other than infantry — artillery crews, combat engineers, Signal Corpsmen, and the like. My rebuilt rifle went into storage — and stayed there until it was purchased (through the Civilian Marksmanship Program?) but never unwrapped and cleaned. 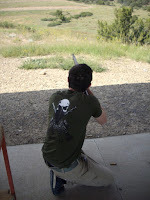 I took my rifle to the my club range (maximum 200 yards) and shot it. The action was smooth as butter, and the accuracy was good if you remembered to hold low on a bull's-eye target. I considered making it a "deep woods" hunting rifle, but as sure as I did that, I would be in a situation where I needed my scoped rifle, so I never carried it afield. Over Labor Day weekend, however, I found myself down at the Whittington Center shooting complex in New Mexico, where the rifle ranges go out to 500 meters (the high-power silhouette range), and where the target everyone wants to hit is the White Buffalo silhouette at 1,123 yards (1027 meters). And I hit it, using a modern .300 Win. Mag. rifle with a scope. Yet there I was, surrounded by synthetic stocks and powerful scopes, but everyone wanted to try the M1903. Dylan M., who served with the Marines in Afghanistan just a few years back, picked it up, dropped into a military kneeling pose, and would have made the shooting instructors of 1939 happy. 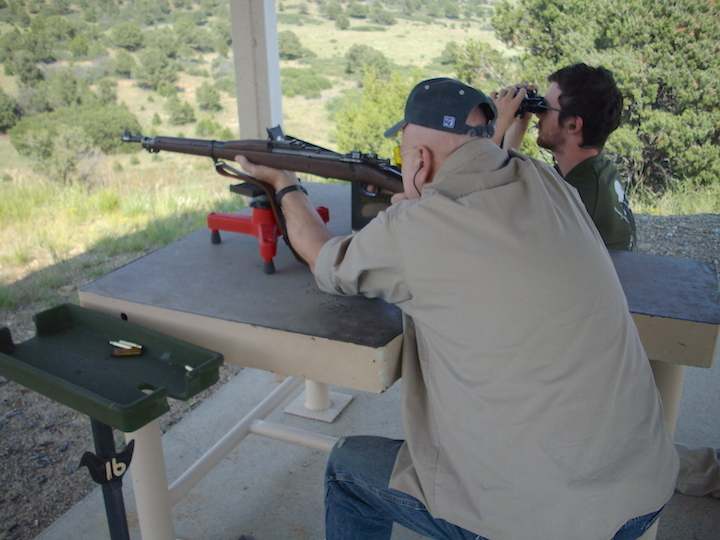 Dylan M. shoots the M1903. 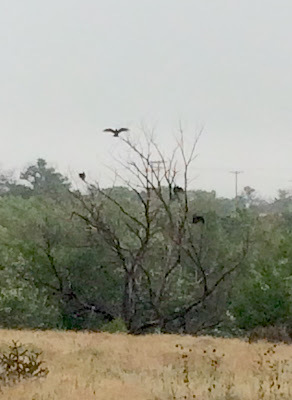 Holding "six buffaloes high" and, as the song says, "a yard left for the wind," he fired. Nothing. He fired again. Nothing. On his third shot, Dylan and I looked at each other. Galen sights in with Dylan spotting. Galen fired a fourth time. A second later came a definite "tink" from down range. If you're not a shooter, that might not sound like a big deal, but hitting a target more than a half mile away with no optical magnification and eyes no longer young — that's something. I think I need to go back and do it again myself — with the Springfield.